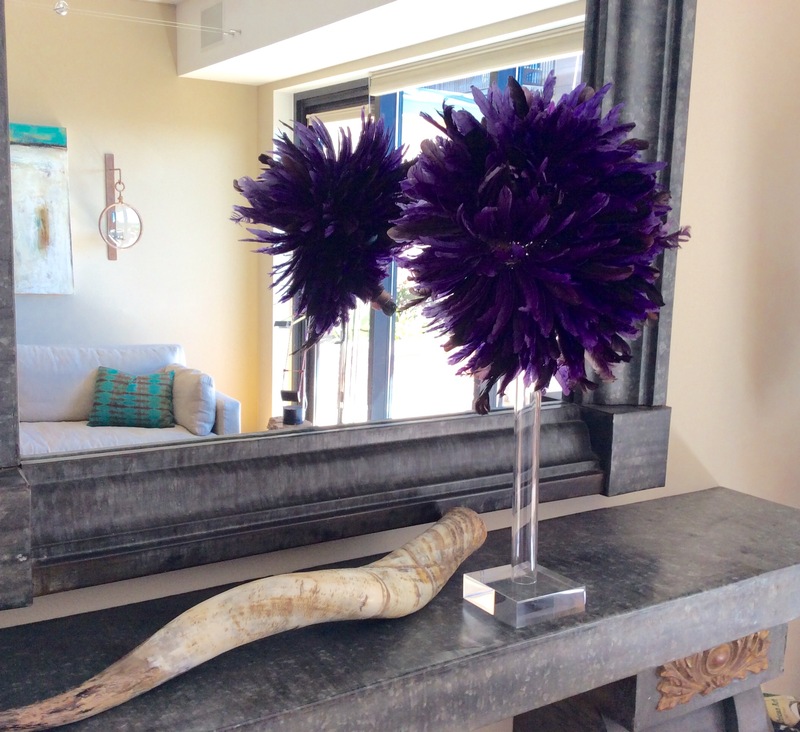 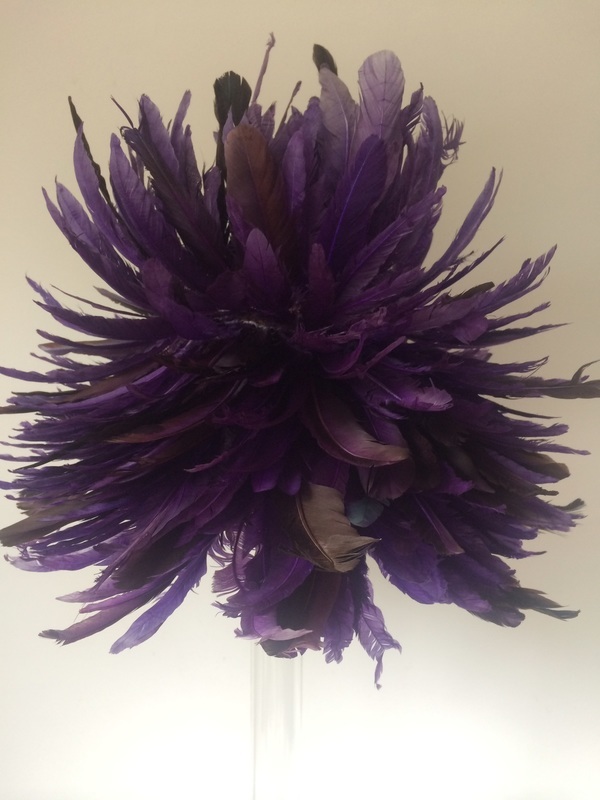 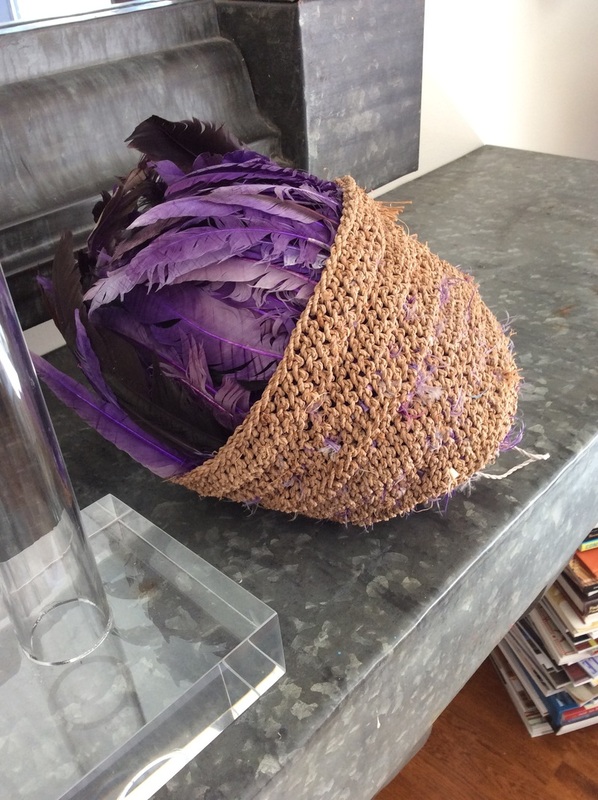 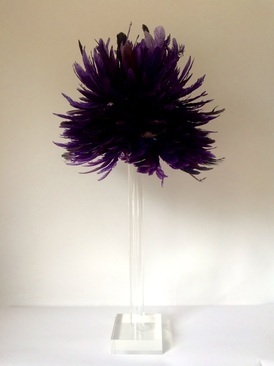 A Beautifully constructed raffia with vibrant royal purple fowl feathers woven in to create this African headdress from Cameroon. 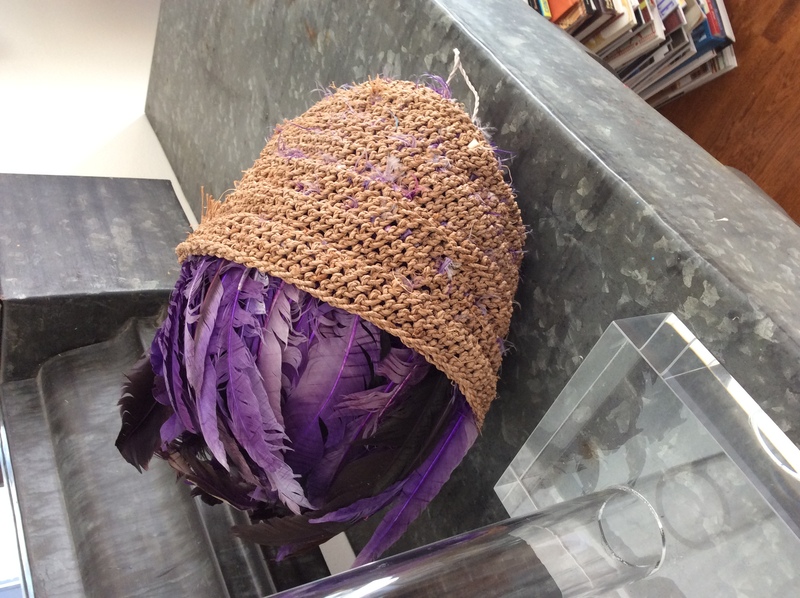 Cleverly folds up for storage by pulling the raffia loop under the hat. Displaying on the acrylic mount creates a fun whimsical sculptural accent! 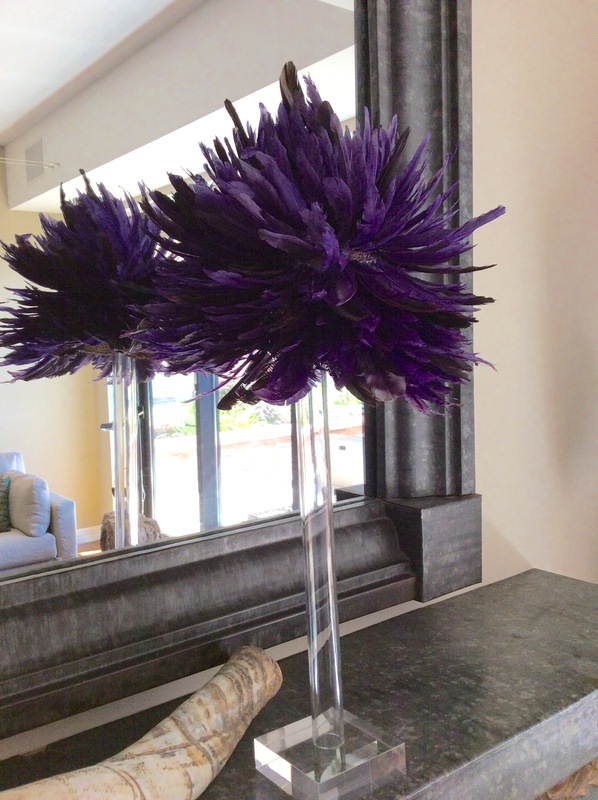 DM 18" x H 30"